Need Tow Truck Insurance in Baton Rouge Today? 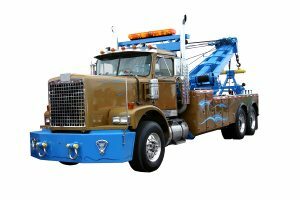 If you need Tow Truck Insurance in Baton Rouge Louisiana or the surrounding areas, we offer same day quotes and coverage for most towing operations. Call Jeff Davis Insurance at 337-824-4455 to speak with our licensed agents from 8:30 AM- 4:30 PM five days per week. We insure both large and small towing companies throughout the state of Louisiana. This is why it is Important to Disclose All Information When Shopping for Louisiana Tow Truck Insurance. In last week’s article we discussed the legal contractual position of insurance companies when it comes to disclosing accurate information on your application. In the event inaccurate details are given to the company, they have the legal right to deny any claims. Let’s see how this happened to one fictitious trucking company. Example: Lowball Trucking Insurance Company only insures moving companies, owner operators, and tow truck companies when their radius of operation is less than 350 miles. Atlas Trucking Company’s radius of operation is 750 miles, but they receive a quote from Slick Willie who sells insurance for Lowball Trucking Insurance Company. Atlas Trucking tells Slick Willie their radius of operation is 750 miles. Slick Willie, either because of incompetence or sneakiness, types in 350 miles on the application sent to Lowball Trucking Insurance Company. Lowball Trucking Insurance Company assumes the information is accurate on the application and issues the policy to Atlas Trucking Company. One of the drivers working for Atlas Trucking Company is involved in an accident resulting in a fatality. A claim is submitted to Lowball Trucking Insurance Company. After their investigation, Lowball Trucking Insurance Company issues a claim denial and a notice that they are voiding the policy from its inception because a material misrepresentation was made on the application indicating that the Atlas Trucking Company’s radius of operation was 350 miles or less when in reality it was double that. A $2 million judgement is assessed against Atlas Trucking and the company files for bankruptcy protection. Disclose Everything Accurately When Shopping for Tow Truck Insurance Baton Rouge Louisiana. The importance of making sure all information is listed on your application can’t be overemphasized. If the agent or the customer fibs about pertinent information on the application, you are setting yourself up for a claim denial. In our next article we will dig a little deeper to understand the insurance companies’ rationale on the clause we discussed in last week’s article. Don’t miss the next issue! Jeff Davis Insurance is a Name You Can Trust for Baton Rouge Tow Truck Insurance. You can trust us to not fudge the numbers to get you to join our winning insurance team. Call us today by dialing 337-824-4455 to speak with our specialists. We offer same-day coverage for most companies needing tow truck insurance in Louisiana. This entry was posted in Tow Truck Insurance and tagged Baton Rouge Tow Truck Insurance, Louisiana Tow Truck Insurance, Tow Truck Insurance Baton Rouge Louisiana, Tow Truck Insurance in Baton Rouge, Tow Truck Insurance in Baton Rouge Louisiana, tow truck insurance in Louisiana. Bookmark the permalink.